Okay, so its not really a farm. We don't grow any mass crops. It's more like a small hobby farm that is devoted to our love of animals. We have four horses, a mini donkey, and a whole herd of cats. We also have two dogs, two lovebirds, and are just getting started on chickens. We enjoy the outdoors tremendously, and our goal is to be able to vacation at home any time we want. 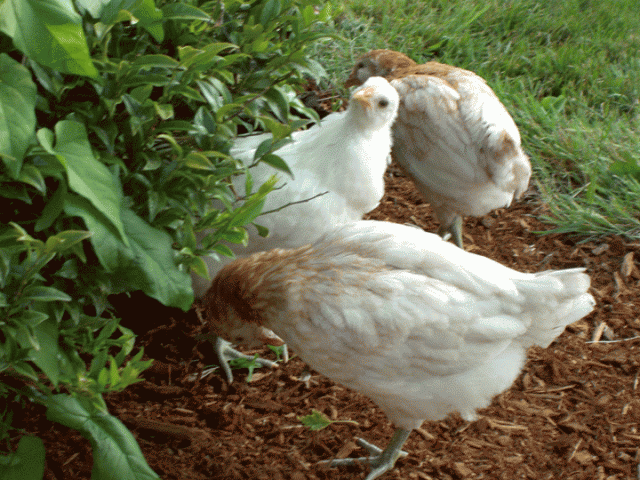 This is our second year at our farm (2009) and we're now starting our chicken project. We started with six RIRs, 3 EEs, and 2 BAs. Right now, the chicks are still in the house, though the six RIRs have moved into what we are calling their teenage portable headquarters while we get their new coup done. I'll post pictures of that coup when its totally finished... or maybe in the building stages! Our family has grown too! 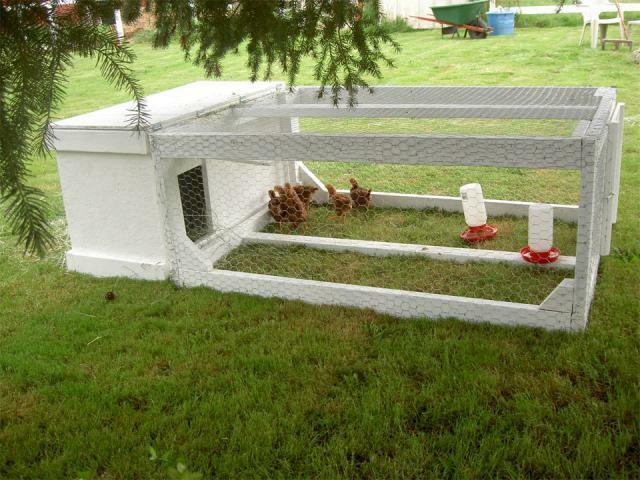 We have moved the RIRs into a large dog run while we finish our coup, and our EE friends are now living in the little juvenille brooder. So we have two Black Astralorps and three EE hens living outside, and 4 EE chicks and 2 Spitz's still living inside (they are 4 weeks old now). 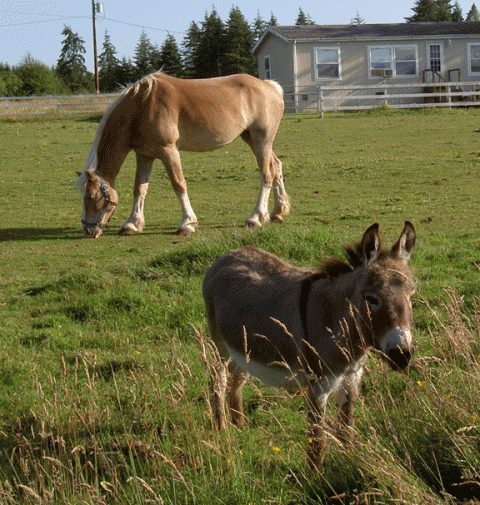 Also, here's a picture of our draft and mini donk hanging out together.